The SignWriting Literacy Project provides colorful SignWriting storybooks, workbooks, dvds and software, specially designed to teach profoundly deaf children to read and write. 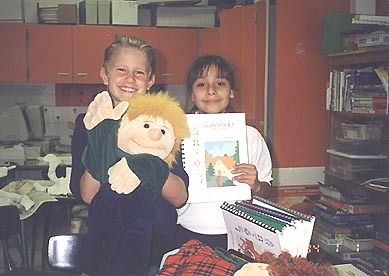 Schools for the deaf in the USA & Canada, and some in other countries, are benefiting from participating in the project. Classrooms with Deaf students receive free materials, and in return, the teachers, students, parents and administrators provide ideas and feedback. This beneficial exchange of ideas is published on the web, in the SignWriting Teacher's Forum, and is also available printed, upon request. And in return, the feedback collected is shared on the web.